Netsphere works with our health care clients in maintaining proper IT Security and HIPAA standards to maintain compliance. These days IT security is such a concern for some many organizations at all levels. IT security is all about layers of security. In the past it may have been one solution but even small businesses need to take security seriously and implement layers of solutions. These solutions are not expensive but they certainly are necessary in this environment of ransonware type viruses that are all over the news. HIPAA is the Health Insurance Portability and Accountability Act, which sets the standard for protecting sensitive patient data. Any company that deals with protected health information (PHI) must ensure that all the required physical, network, and process security measures are in place and followed. For small and medium businesses that do not have dedicated staff for HIPAA compliance this is a large burden to try to keep up with. 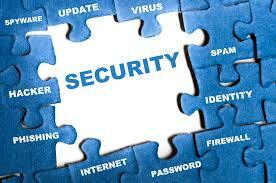 Netsphere can assist and mitigate the risks while maintain a culture of security and compliance. Its just one piece of the puzzle - but it is a big piece! If you deal in Patient information, are you in compliance?